This year's Society stand seemed very busy explaining and packaging up the new style memberships (a rolling 6 issue subscription starting when you join up ... read more here ...)... and dishing out recent Slingshots as single issues. 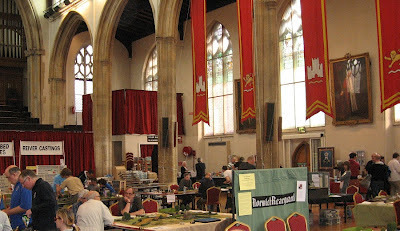 From what I could see the stand was busy and I think the change must be going down well. 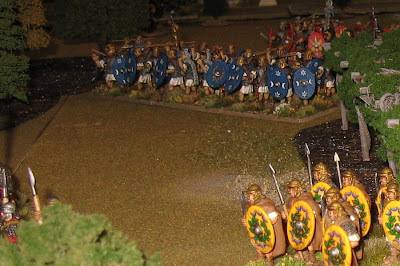 ... in this case a fictional raid on a Roman working party (something to do with protesting about the route of a new by-pass ...) ... Again, nice toys and a busy looking pitch through most of the weekend. 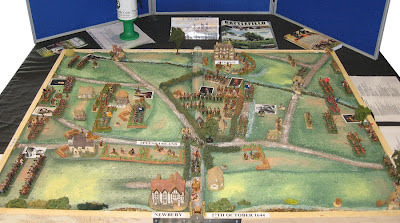 If you want to find out more about the battle (visible through the windows from our floor of the building ..) ... have a look at my ECW blog pages ( creating the battlefield ) and ( Newbury at Newbury ). Most of what I saw of the show was on our floor, but I did get down to the ground floor to pick up some more bases, and to buy a big expensive box of 'lang' Silfor tufts to tart up the Bosworth gear (I also bought some WW2 stuff but you wont want to know about that ...).. If historical battlefields are of interest to you, you can find out more about them (resources, campaigns and events) from the Battlefields Trust. 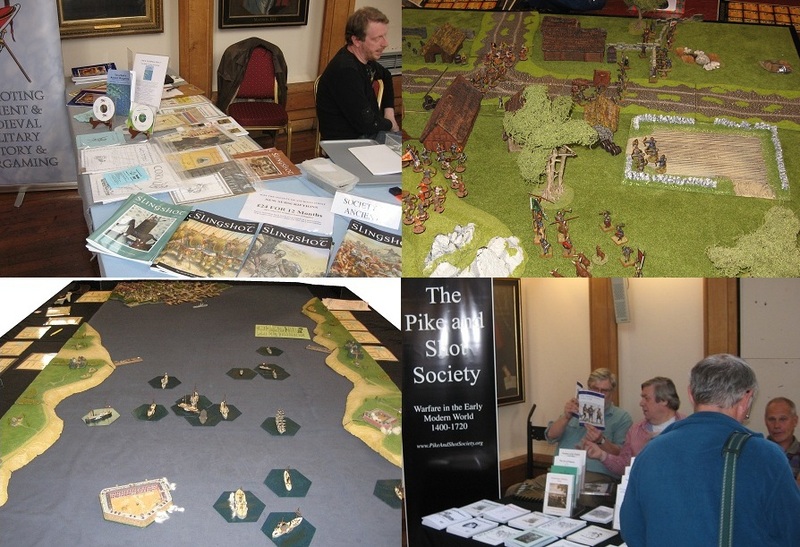 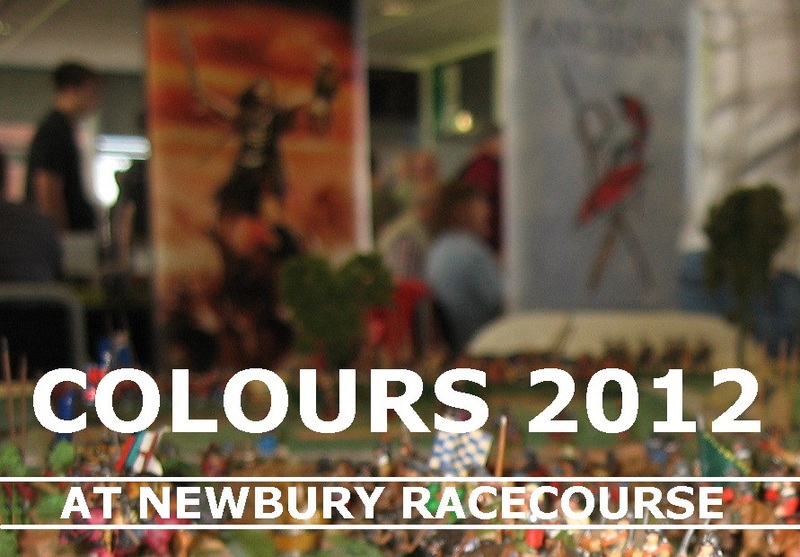 Great to see President Boss meeting members on the Society stand over the weekend: Colours was one of the first wargames shows I did as what was then part of the Society of Ancients/Slough Barbarians participation games team. In those days Roy used to run the show! 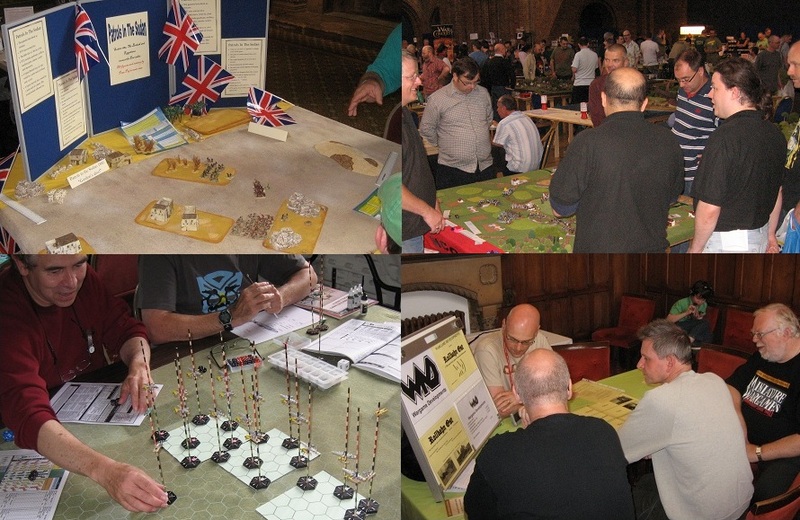 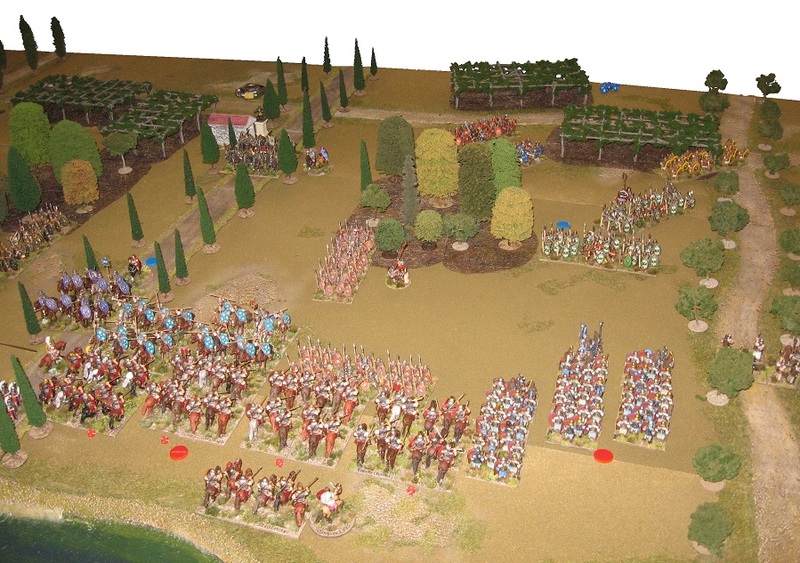 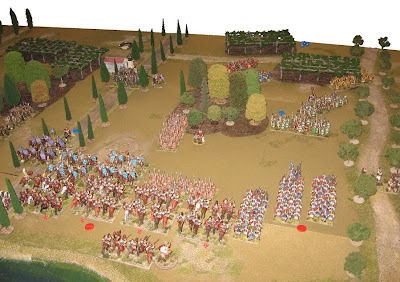 That was back in the Hexagon in Reading, and the first game I was involved with was 'David and Goliath' conceived by Andy Gittins* (a success in its own right, it evolved, of course, into the ever popular - dare I cheekily say 'evergreen' - 'Gladiolus'). Colours remains one of my favourite shows. Ah .. those were the days! 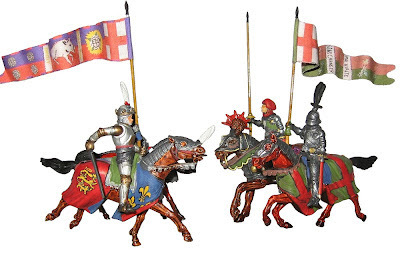 *Andy, of course, went on to be President, and I have now handed the priceless Society regalia on to Roy. 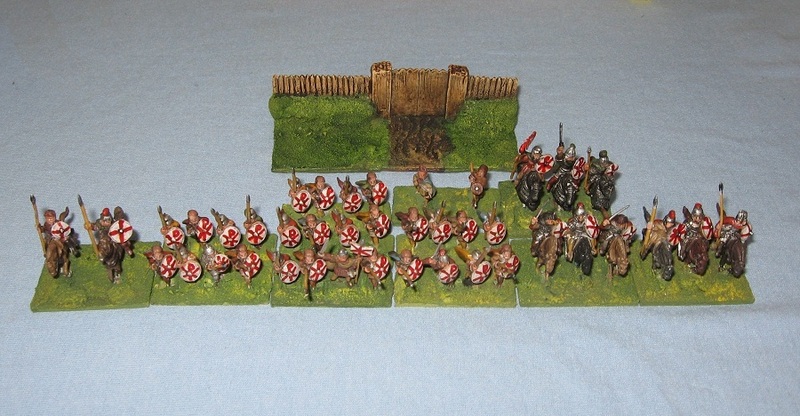 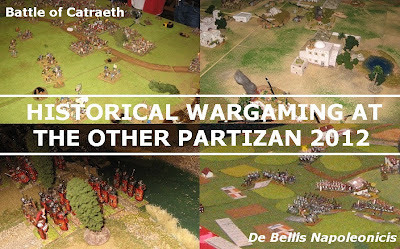 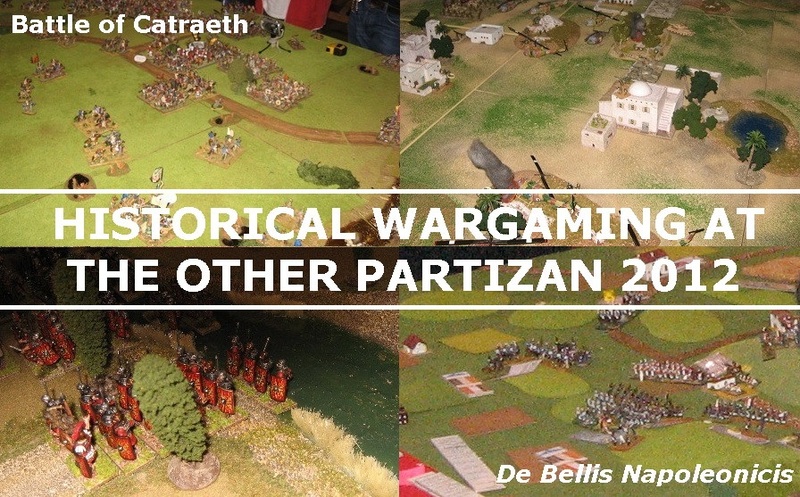 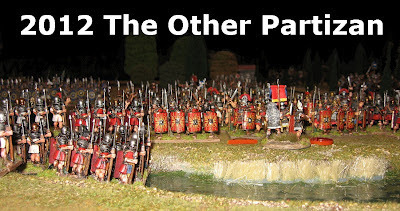 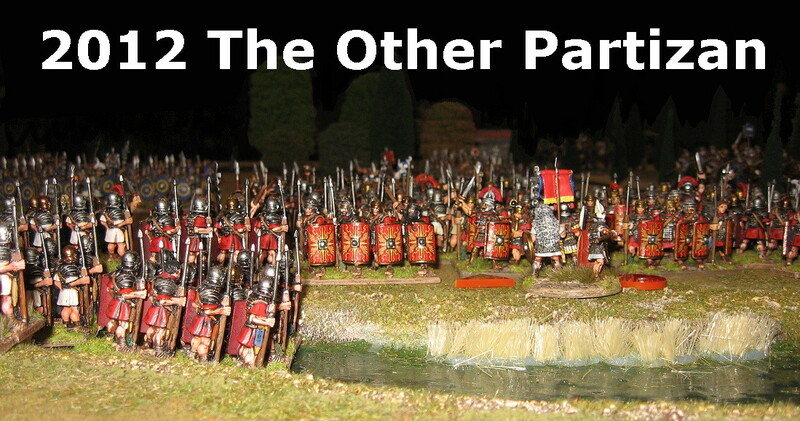 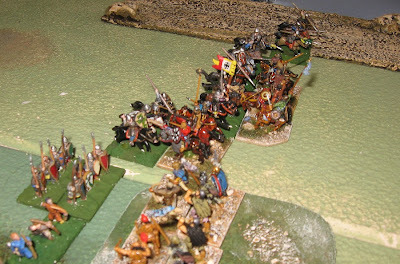 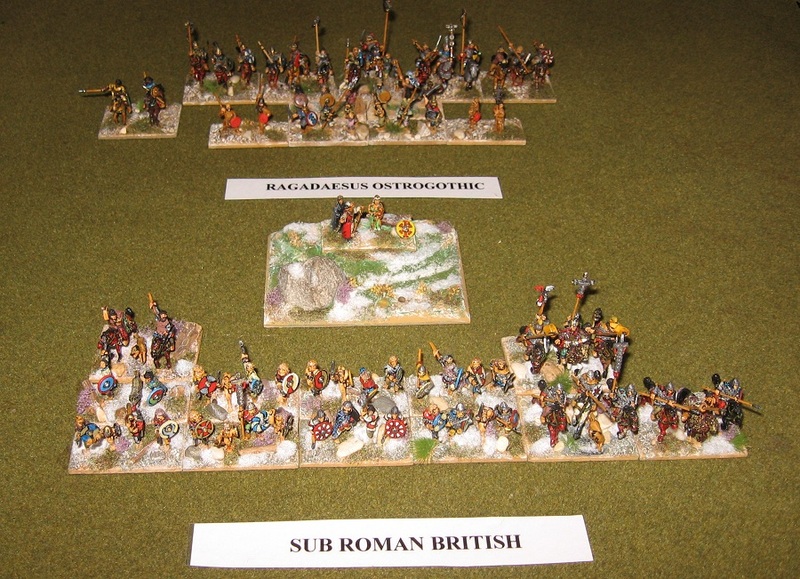 A good party of volunteers turned out for the combined Society of Ancients/Lance & Longbow Society historical wargames zone at The Other Partizan. 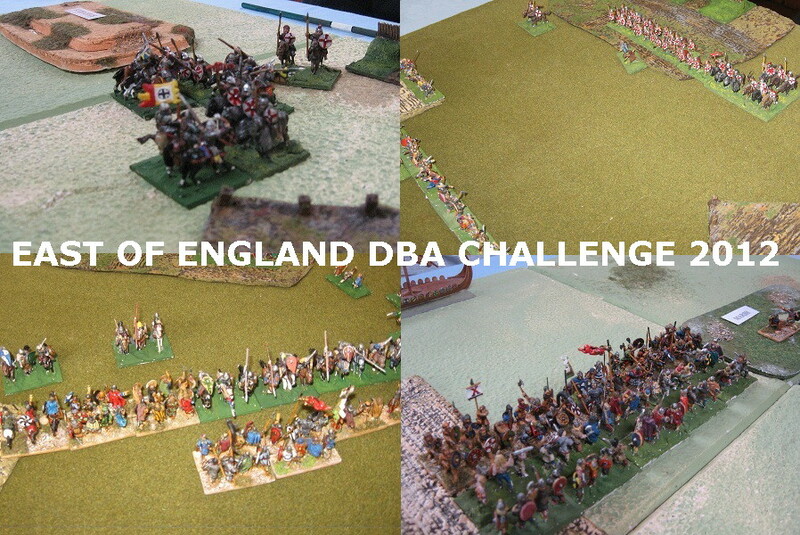 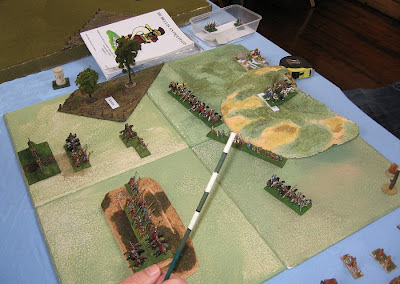 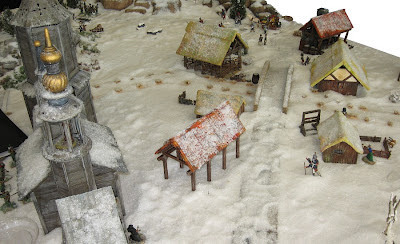 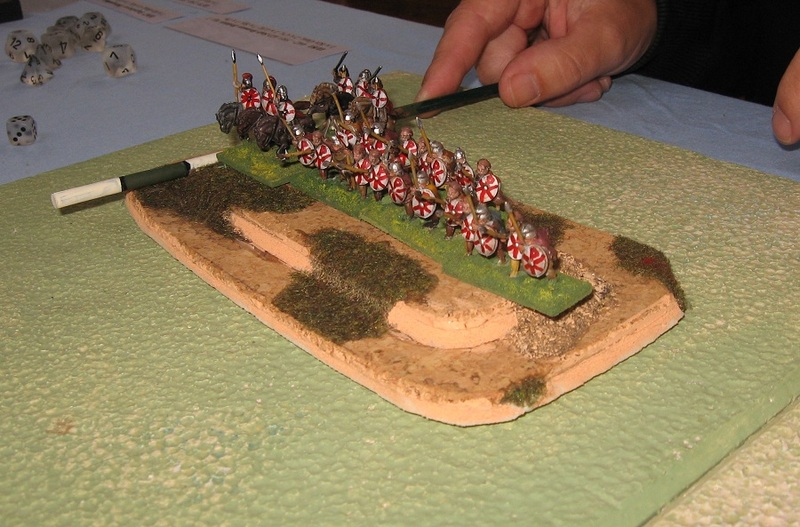 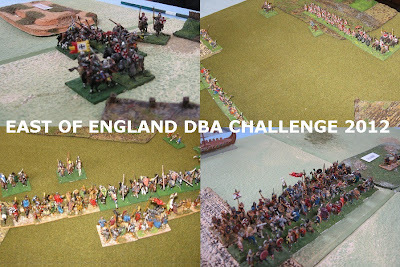 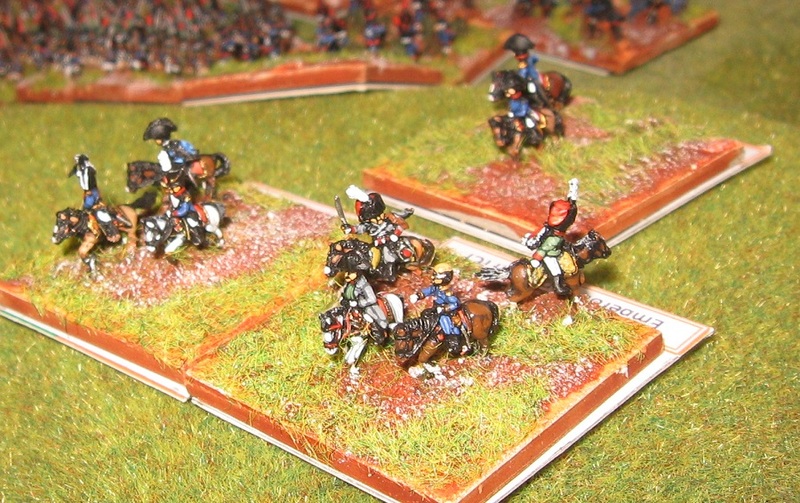 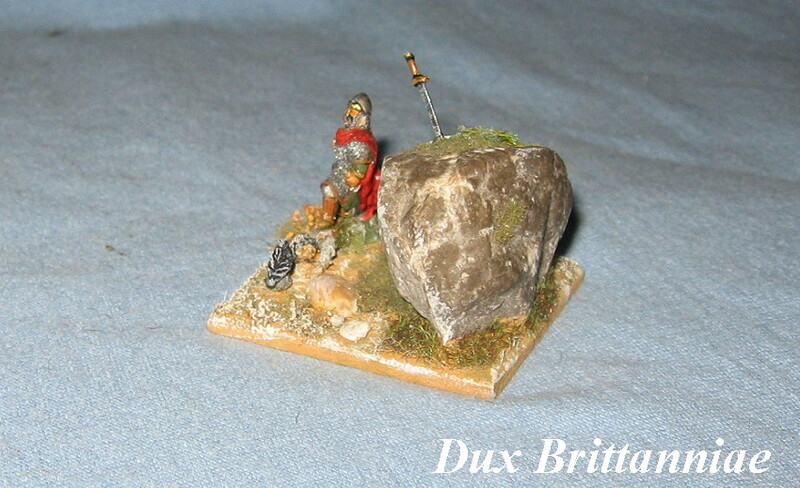 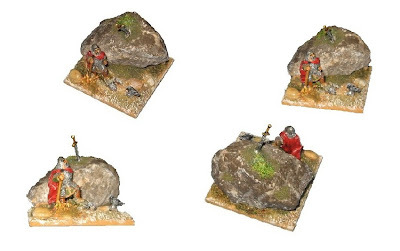 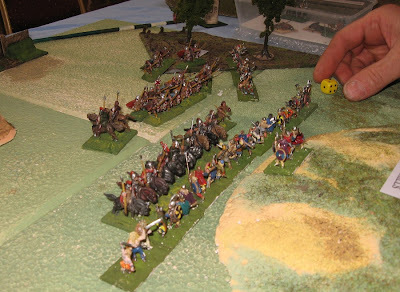 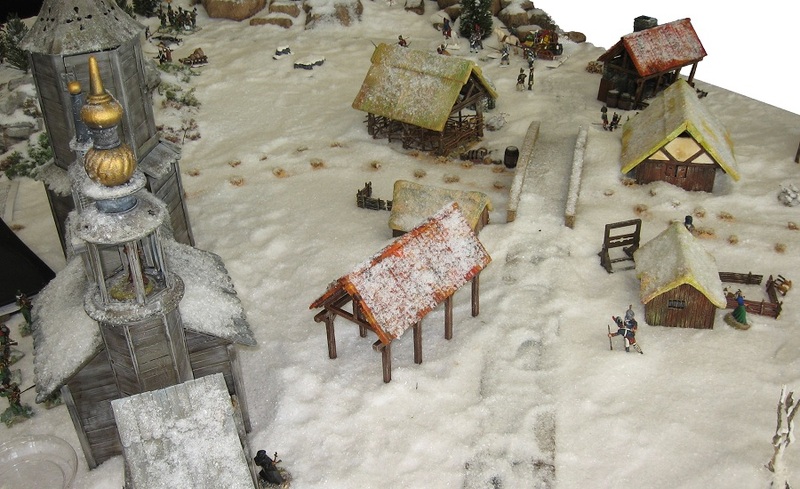 In addition to the various enthusiast support lines from both Societies, we took along the 15mm playtest version of DBA3 'Bosworth' and the latest figures for the 54mm version. 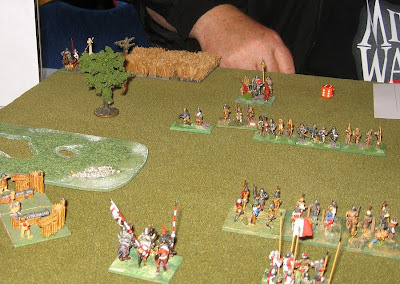 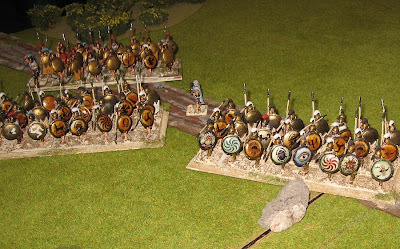 Elsewhere all the ancients enthusiasts seemed taken with the Miller/Hendry collaboration Ad Castores (featuring Simon M's new troop concealing vineyard bowers). 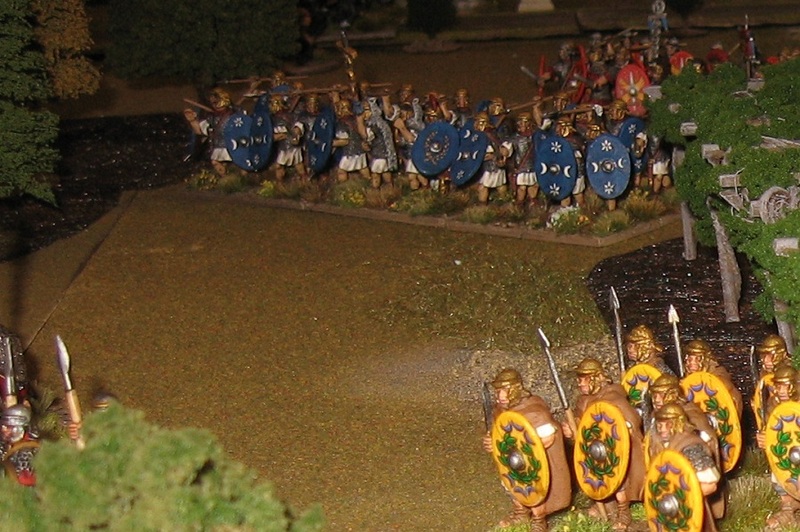 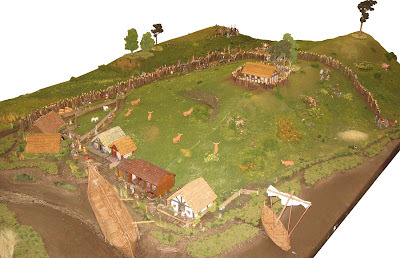 Also in the Dome - increasingly, the 'ancient and medieval zone' ... - Rob was running War and Conquest and showing off some splendid hoplites. 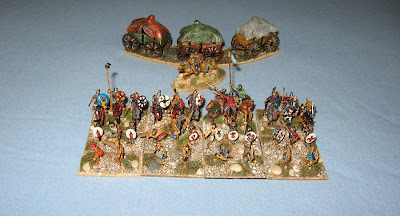 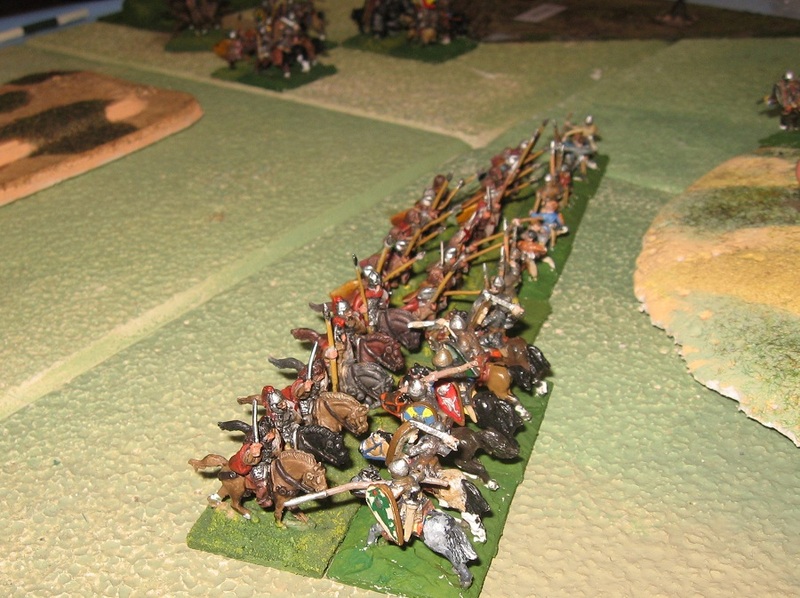 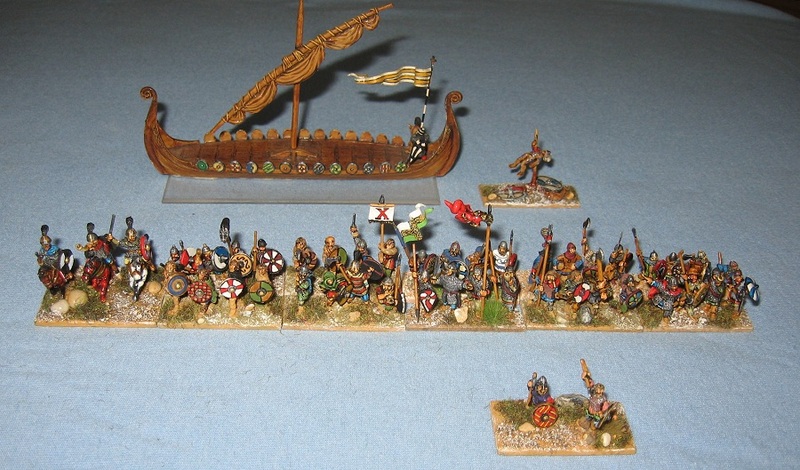 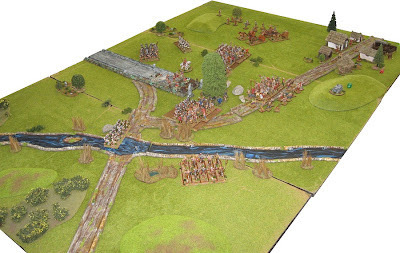 Scrivs and co were doing a massive Hail Caesar Dark Age game based on the Gododdin, and there was a medieval skirmish to boot. In addition to our DBA Bosworth (in which I may have been shown the riddle to succeeding from richard's poor position*), there were good particiaption games on offer ... Rollbahn Ost, Gordon's Alive, DBN etc. 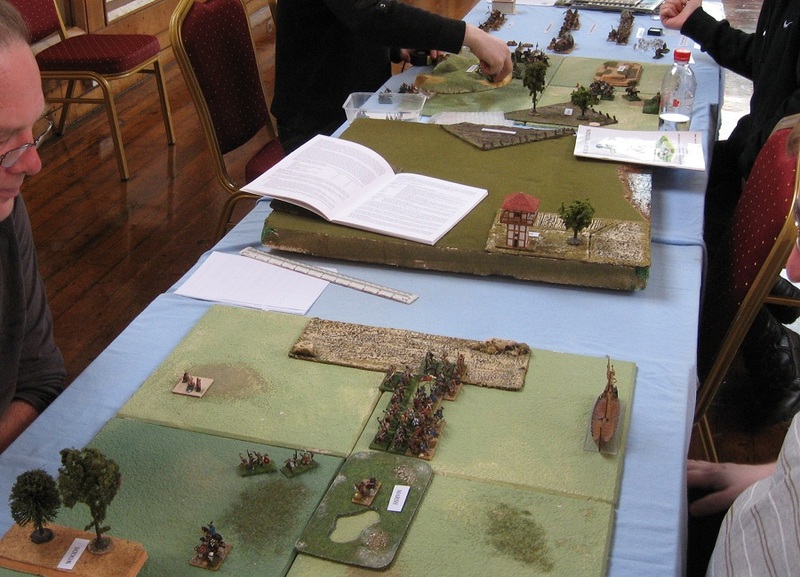 No reason not to sit down and try out a few games. 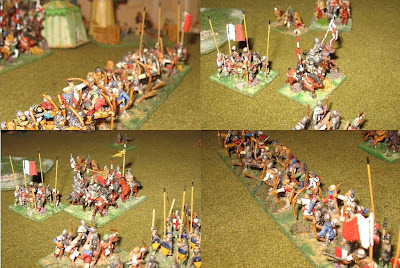 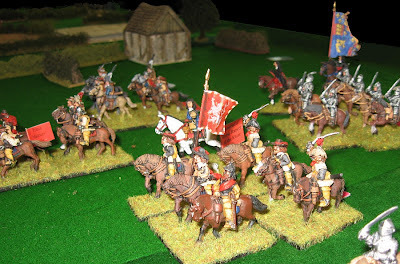 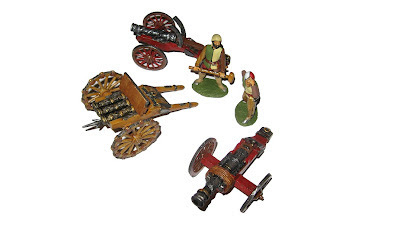 Developing the Bosworth game, I am very pleased with how the standards (Graham Fordham's Fluttering Flags) are turning out, and I have converted up some suitable guns from Ian Kay's (Irregular Miniatures) 40mm Renaissance guns. 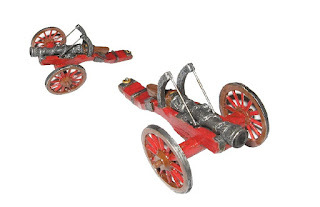 Artillery are one of the key arms at Bosworth. 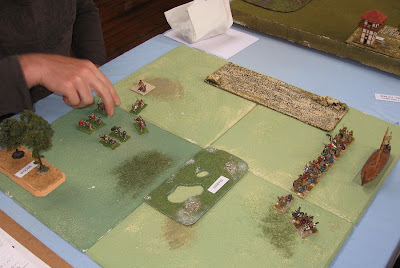 Attested in great numbers, the presence of over 30 cannon balls in the marshy area of Fenn Lane forms part of the very evidence for the probable site. I have painted Richard's guns a vibrant red in deference to his constant demand that his colours were displayed.